The start of a new sampling campaign is always a very exciting moment for scientists. After months of careful preparations, our fourth deep-sea sampling station is becoming a reality. In three days, Carl, Tom and myself from Te Papa are joining our boat the Star Keys, her crew and two other scientists from Massey University for 7 days at sea. In three days, we will be sampling in deep waters off Kaikoura! Once again, we will be using video equipment and deep-sea fish traps. 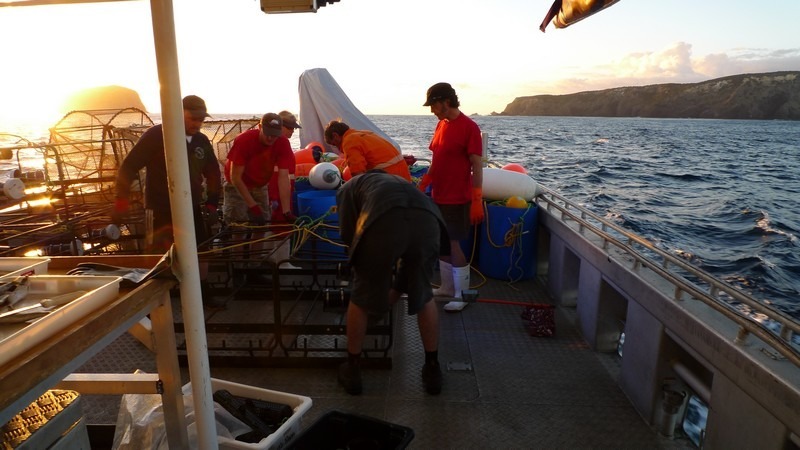 Similarly to what we have done in the past, we are going to deploy this scientific equipment at depth ranging from 50 to 1200 m to study diversity patterns of New Zealand fish fauna. For the first time, our sampling site is located in the South Island. A guarantee for exciting discoveries! In the past year, we have worked off White Island, Great Barrier Island and the Three Kings Islands, which are all located North of Wellington. Those sites, just like Kaikoura, are particularly adapted to our sampling approach because the slope of the seabed is very steep. It is then easy and fast to travel from one sampling station to another. Imagine, off Kaikoura, to go from a 100 m to 900 m depth, you only have to travel about 2 km on the sea surface. Steeper than the steepest hills in Wellington (and I am a cyclist, I know they can be steep…). We should have a pretty good internet connection so that I will be able to post some news about how our work is progressing. In the meantime, have a look at those videos from our past trips which show you the kind of amazing fish diversity New Zealand has to offer.